If you’ve ever visited a Zoo or wildlife park, or donated to a charity before, then you’ve probably already heard about Gift Aid. For anyone who hasn’t heard, Gift Aid is a scheme where charities can claim an extra 25% back from HMRC for any donations made by UK taxpayers, including income received from the sale of donated goods in charity shops. It doesn’t cost the donor anything extra, and each year a letter or email is sent out detailing the total amount of tax to be reclaimed for the previous financial year and how much further your kind donations have gone towards helping Hetty’s families. There are a few conditions outlined by HMRC but we have detailed everything you need to know in this handy leaflet. 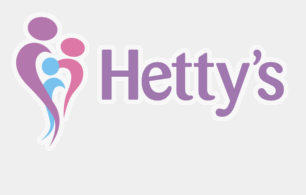 If you have recently donated money or items to Hetty’s then please, please consider signing up to our Gift Aid Scheme. Just complete this form and return to: Hetty’s, 23 Woodhouse Road, Mansfield NG18 2AF, and we will issue a donor number and card for you to use on any future donations – that’s all there is to it! (Forms can also be collected from either of our shops or from our offices, or we can post a copy out to you).